Greg Chapman of LakesBloc and Rock and Run has been busy exploring in the Ross of Mull, adding the hardest problems to date on the superb pink granite that pokes out from under Mull's tertiary lavas around Fionnphort. His two best finds were both 7c+ on steep prows north-east of Kintra. Many other walls and problems are being developed, with exciting new stones to be revealed soon! It's good to see such plum lines finding attention - Mull is full of potential for everyone. Check the Mull page for a sample Google map of some areas. Dominic Ward has done some cracking new problems high up on the Bealach na Ba at Applecross: a new direct problem on the Sanctuary Cave (Kneed for Sanctuary), and a new crag called the Sia Stone has given some quality problems. Nic has kindly donated a topo for the area on the Applecross page, he'd appreciate some feedback, and maybe some traffic on these stones! Cheers, Nic. 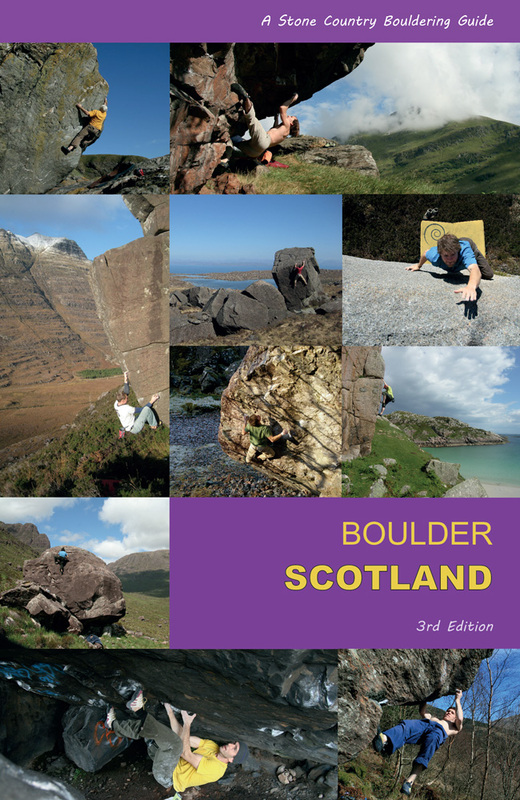 Dave MacLeod has succeeded on his long term project on the Skeleton Boulder in Glen Nevis. He climbed the project just before a bouldering trip to Switzerland, where he climbed Mystic Stylez, 8c. Commenting on his new problem Natural Method, he said it was the '...Hardest thing I've one this year by a mile!' Dave has suggested 8b+ as a grade. I'm sure the Swiss experience, on similarly-styled rock to Glen Nevis, allowed him to contextualize the grade. It just looks superb, full of intricate and, of course, very powerful moves. Dave explains in his blog how the climb was a return to the 'natural method' of improving bouldering by bouldering lots! Arran is a like a big granite lump of dough that someone has pushed an icy thumb into several times - the big corries pinch out the crusty ridges and the crumbs have all tumbled down into the bowls, trailed out in long deposits by the slabbery dribble of glaciers. The fringe of the island is dotted with big erratics that have tried to make it to the sea, such as the 'Corrie' boulders, but the densest collection of rocks lies in the higher corries such as Fionn corrie, Garbh corrie and Coire nan Ceum. We took the opportunity of a good forecast to get the first sunburn of the year with a hike into Coire nan Ceum, via the bounciest bus on the island (the 324), then a pleasant stomp up the North Sannox burn to the boulderfield (45 min). Folk have mentioned this place to me over the years, Claire Youdale had said there were some big stones, and she wasn't wrong. The vast territory of rocks is a maze to navigate - a bit of a geological Narnia, everyone scattered through their own wardrobes of fascination to hunt for their projects. We regrouped and decided to start at the top, at the biggest blocs, then work downhill along the vanished glacier's rocky scribble. The granite is ultrabasic in nature and fierce on the fingers, so failing repeatedly on roof projects leaves the skin tattered. Warming up on slabs, shredding toes rather than hands, then doing a few quality 'circuit' problems between Font 4 and 6a, warmed us up for the harder lines and the most attractive roof problems. 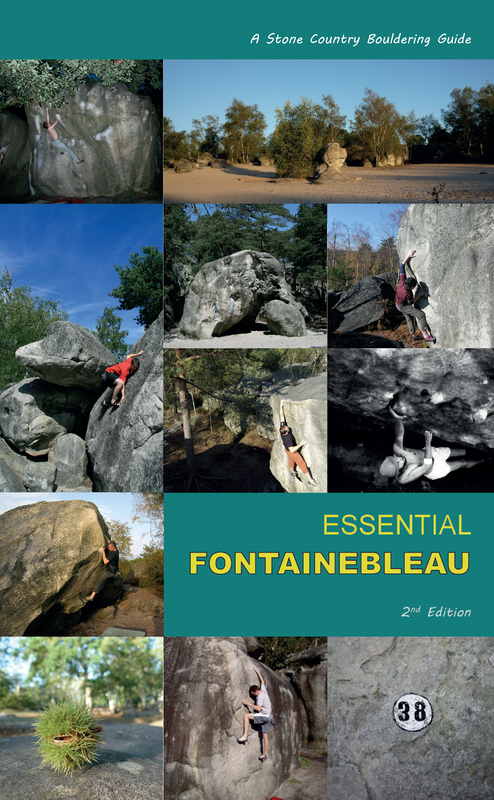 Fontainebleau again. Encore une fois. The more I visit, the more it impresses, and the more it grows its mental skins. 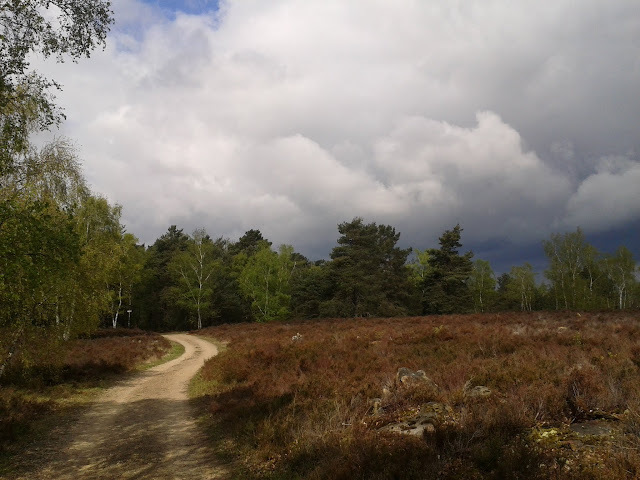 I am becoming a Fontainebleau 'oignon', if not quite a 'bleausard' - layers of memory, repeated climbs, new areas, the dappled light, the sounds of the place; all co-mingled into an impressionistic mess of sensation that bangs an emotional gong when I hear the word 'forest'. Even injured and unable to climb, I am happy to let it soak in again, like a sudden April shower. It was indeed a wet spring, with the forest lashed by the dirty tail of Atlantic fronts soaking northern Europe - a ragged, out-of-the-ocean dog-shake of a low pressure system. 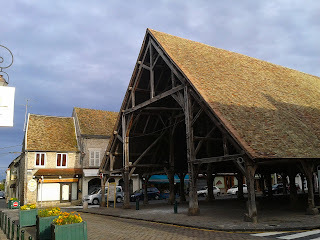 We sloughed off the Euro-glitz of Paris, not to mention the 8-Euro a pint nonsense and retired to a hut in the forest. 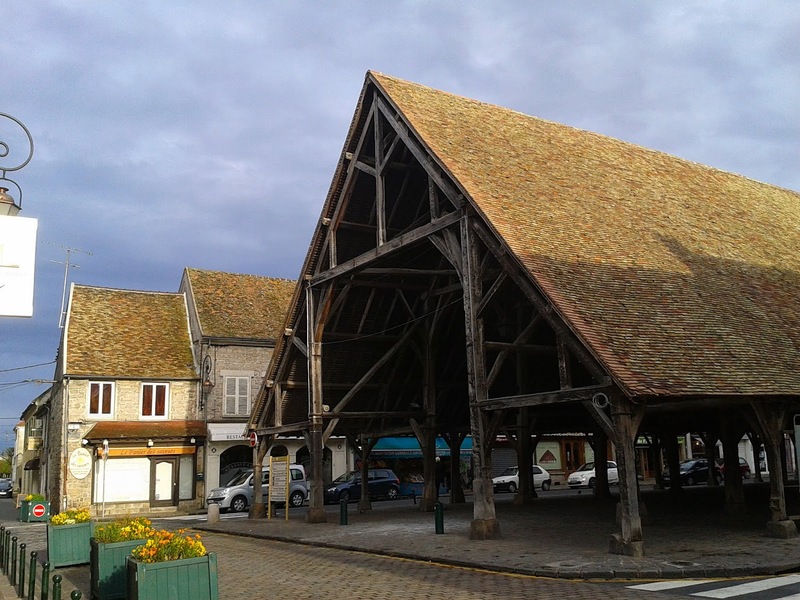 We visited the market in Milly-la-Forêt and stocked up for a spell of natural impressionism, with respectably priced Grand Vins from la Coccinelle, then long evenings of blurred masterpieces of forest light. With the weather wet, it was a real opportunity to explore some areas of the forest: the 'mini-Scotland' of Coquibus heath reminded me of Corot and Rousseau's winding, sandy tracks under stormy skies; the rocky plateaux and mature canopies of the Franchard gorges, now so much more overgrown than the 'deserts' of 19th Century postcards (the Napoleonic wars and charcoal burners had stripped the place to a rock-garden); the fancy galleries, museums and 'maisons forets' of Barbizon; the sleepy bridges and baguette-hungry ducks of Grez-sur-Loing; the rifle-crack ranges and pistes-cavaliers of Corne-Biche. The whole, vast matrix of the forest - the 'lungs' of Paris - breathes quietly from another century while the hyper-tensive artery of the A6 throbs through the core of the place, yet still the forest springs into life each year, the green leaves eager to shush modernity's clamour. There are constant surprises - what I think is a crow suddenly climbing a tree trunk is a giant black woodpecker; a psychedelic flash in the leaf litter is a green lizard; and a little mini-boulder turns out to be a twitchy giant snail, folding shyly back into itself like a plastic bag in a fire. I did some mapping, my own peculiar cartographies of rock. Despite compass, GPS and aerial photography, the best way to map a chaos of boulders is simply to walk round about them for a week, linking up the circuit numbers and doing bird's-eye imaginings from above. Each time I visit, there are more polished, clean slopers of new problems, and the low, chalky rubrics of desperate sit starts. It is remarkable how often you confuse one boulder for two - so many facets and only one perspective - the whole process is like doing a jigsaw with replicate pieces, gradually melding the drafts into tighter circles, merging walls and corners like a Rubik's cube, linking up perspectives and joining the old, sly logics of circuits into their intended stations. I appreciate circuits more and more; they are discreet passages of climbing philosophy, a kind of monkish addiction. There are a lot of good guides and maps out there but it makes me smile to see how everyone interprets the boulders... it's such a subjective art. Look how differently Bart van Raaj interprets an area in 7+8 (clever use of minimalism) compared to the holistic depth of Jo Montchausse (his 'complete Cuvier' map for three Euro, available in Decathlon at the Carrefour, must be the best value-for-money topo ever produced!). It all depends what you wish to bring to the attention of the wanderer - Denecourt had the same inspiration and the same dilemma, and no doubt he walked many routes in combination before committing to his little blue paint pot.